Dignitaries gather to break ground on the new McKinnon Center for Management. 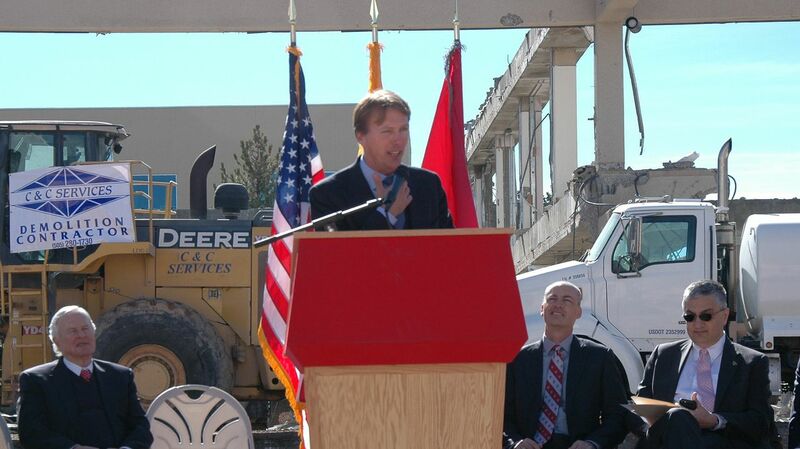 Ian McKinnon addresses supporters of the new McKinnon Center for Management during the recent groudnbreaking. Acting President Chaouki Abdallah addresses a gathering of facutly, staff, students and community members during the groundbreaking of the new McKinnon Center for Management. 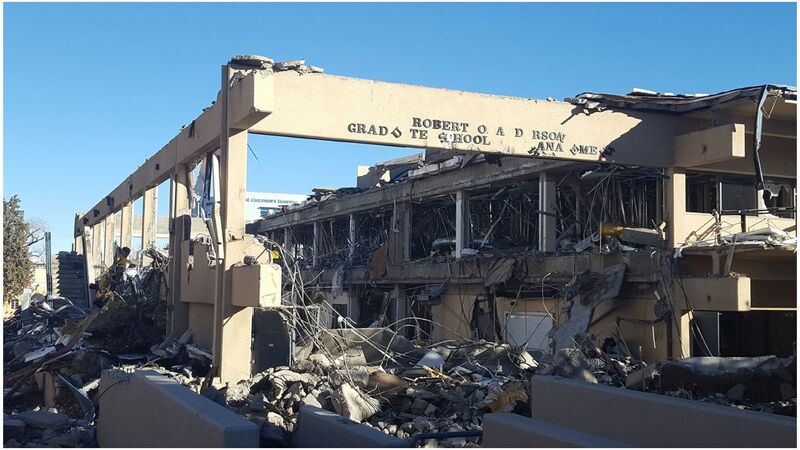 The demolition of the west wing. Acting Provost Craig White thanks the McKinnon family for its support of the new McKinnon Center for Management. 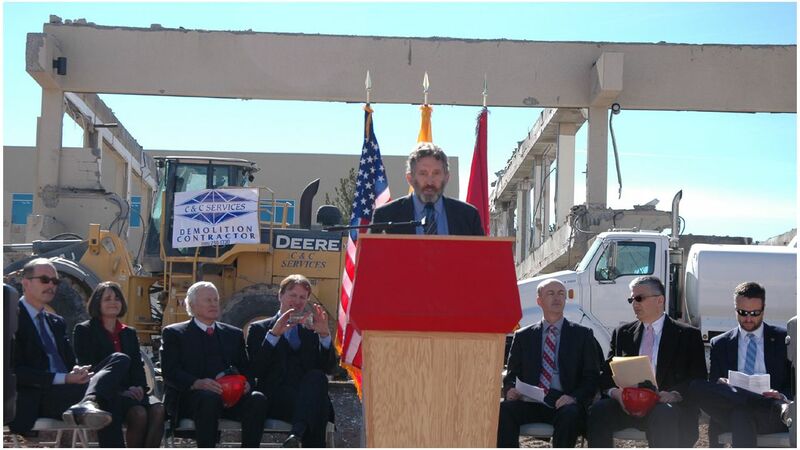 With the demolition of the old west wing well underway, The University of New Mexico Anderson School of Management (ASM) recently broke ground on the new McKinnon Center for Management with dignitaries including ASM donor Ian McKinnon, Albuquerque Mayor Richard Berry and a variety of UNM officials in attendance. Nearly triple in size, the new McKinnon Center for Management will replace the Anderson West building, a 23,000-square-foot building that is nearly 50-years-old. When complete, it will be the place where students will learn the skills they need to become the business leaders of the future. The $25 million building, set to open in 2018, is a 61,000-square-foot facility. The project was made possible, in part, by a $5 million donation from Ian McKinnon and his wife Sonnet. 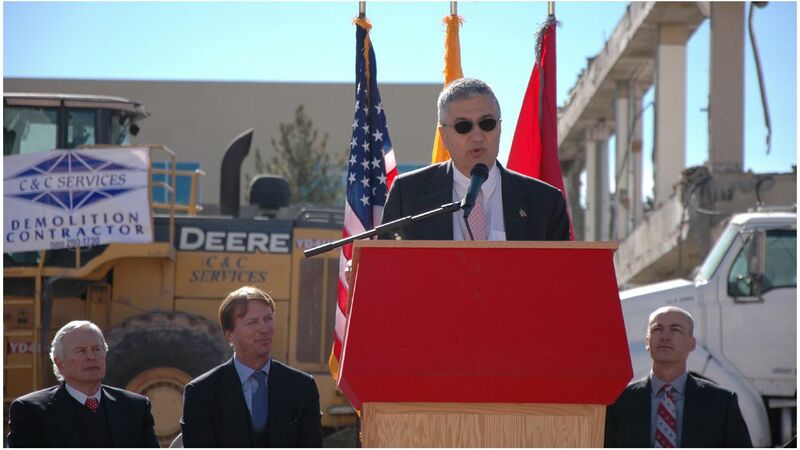 The donation was part of a $7.5 million gift to UNM back in 2011, $2.5 million of which went to UNM Athletics. 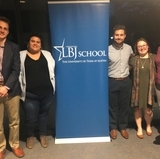 “Thanks to Ian and Sonnet’s gift of $5 million to support the building of a new facility for Anderson, we finally have a building to expand and replace, at least half of our existing 50-year-old facility,” said Shawn Berman, acting ASM dean. "I'm especially excited for our students who will benefit from the new state-of-the-art building with larger classrooms and the most up–to–date IT services. It will also be beneficial in helping us attract top quality faculty to Anderson, furthering the research and teaching mission of the school." 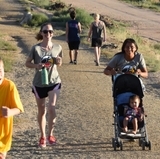 The McKinnon’s, both of whom grew up in Albuquerque, have many connections to UNM including Ian’s wife Sonnet, a 1993 alumna of the Anderson School of Management. Several family members have also earned degrees at UNM over the years. Ian and Sonnet are both graduates of the Albuquerque Academy. 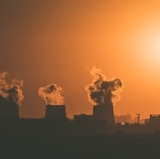 Ian currently serves on its Board of Trustees. He attended Occidental College (Calif.) where he earned a BA, and also attended Harvard Business School, where he earned an MBA. 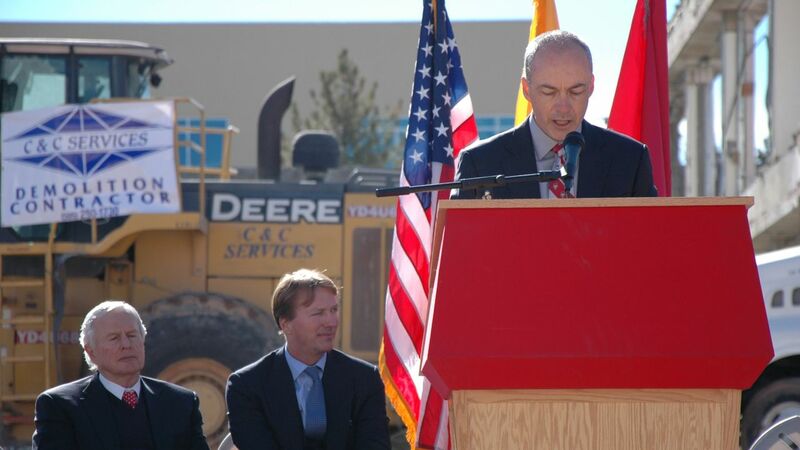 The new building will also provide new technological innovations that will help UNM provide students with a world-class business and management education. The two existing buildings, one of which (west building) has now been razed, comprised 45,851 sq. feet of total space. 60,727 square-feet that provides approximately an additional 37,800 sq. feet of space. 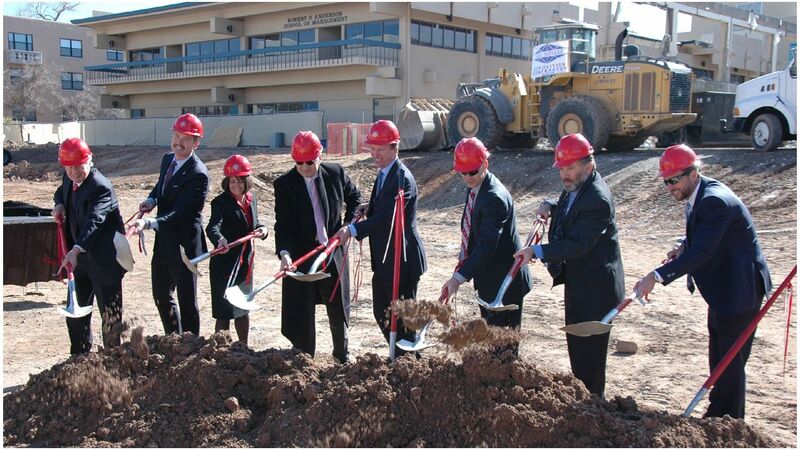 As part of the McKinnon Center for Management groundbreaking ceremony, Albuquerque Mayor Richard J. Berry and First Lady Maria issued a challenge to all the Anderson alumni, approximately 20,000. The Mayor and First Lady donated $30,000 to the Anderson School and the McKinnon Center for Management during the event. 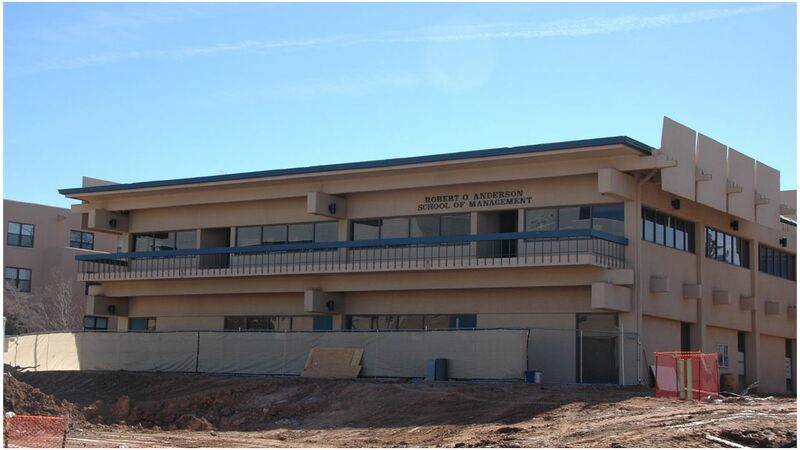 For possible ways to donate to ASM, visit UNM Foundation’s Anderson School of Management funds. The McKinnon’s hope the investment in the new McKinnon Center for Management provides students with the tools to be successful business-people. “It’s going to be the type of space where we can be proud for the employers coming in as they meet our Anderson students as they begin their careers,” added White.